Hero Gold Cup 2019: India begin well with win over Iran. 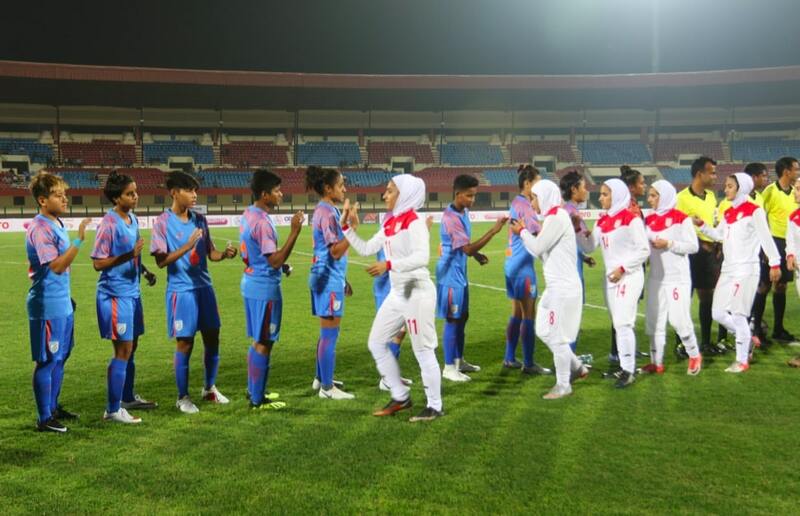 Bhubhaneshwar: Indian women’s football team defeated Iran by a solitary goal to begin their campaign at the Hero Gold Cup on a winning note at the Kalinga Stadium on Saturday. Anju Tamang’s match-winner in the 48th minute ensured India made it five wins in a row, having won the last four friendlies against Hong Kong and Indonesia respectively. After the breather, India got off to an electric start as Ratanbala played in Sanju and her shot from a tight angle just flied over the crossbar in the 46th minute. Spurred, the same duo combined excellently two minutes later to set up the opening goal. Sanju was played in behind the defence and with an excellent first touch she drew out the rival goalkeeper. With her second touch, she then squared the ball to Anju, who slotted it home to give India a deserving lead. Three minutes later, Indumathi took aim from distance but her powerful effort whizzed past the post.